An update on honor capsules, eating poros, and Ornn’s low winrate on launch. Welcome to Ask Riot! Have a question? This week, it’s honor capsules, Ornn’s low winrate at launch, and the rare delicacy that is poro meat. 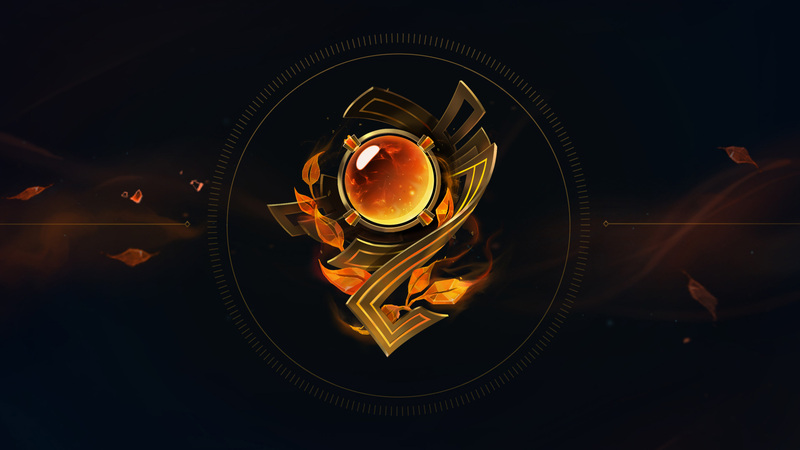 Why haven’t I received any Honor capsules even though I’m already Honor level 4? Capsule drops haven’t been as consistent as we’d like, so we updated the way capsule drops work to add bad luck protection. Now the longest you should go without a capsule is about two months. If you wanna go nitty-gritty on the changes, check out our full post. Why do you think Ornn had such a low winrate at launch? Release champion balance has always been an imperfect science. Before a champion is revealed, we playtest new champions and make iterations constantly, trying to make sure we get as close as possible to “perfect” balance as we can. Sometimes we’re off in either direction—too weak (Ornn most recently) or too strong (Camille). Sometimes we get it right (Kled). One of the more important factors that affects a champion’s power on release is their mastery curve. Simply put, a champion’s mastery curve is their expected growth in power relative to how many games a player puts in on them. Since champions must be balanced assuming the person playing them is experienced, a champion with a high mastery curve (such as Yasuo) will have a very low win rate for first time players that rises significantly over time; a champion with a low mastery curve (such as Braum) will start higher but have much less growth relative to their true balance state. The aspects of champions that create high mastery curves are usually the same reasons it can be difficult to gauge how powerful a champion will be on release. New mechanics that don’t have strong analogues in the game already (such as Ornn’s passives), subtle mechanics that require a lot of optimization that may not be obvious (such as Ornn’s brittle effect or his items), and difficult to execute mechanics (such as Ornn’s second cast of his ult) all combine to add to the difficulty of estimating power levels. Quite frankly, these factors can all make it easy for us to make mistakes—especially considering the limited amount of data we have to work with relative to the millions of games we have on Live. Compounding all of this is the human element. For example, our best Ornn player internally routinely smashed games right up to release, performing better on Ornn than any other champion he played. We took this as a sign of Ornn’s strength, but it is possible that he was an Ornn one trick in the making. Conversely, our Aurelion Sol players never discovered some of the optimizations that are now routine for seasoned ASol vets, which contributed to a champion who was overbearingly powerful a month or so after release. At the end of the day, no one on champion team wants their champion to release unbalanced. Weak can mean poor reception, and strong can mean nerfs that will cause player pain going forward. We try to get as close as we can, and we’re lucky enough that we are able to respond fairly quickly if we’re off. As you slip the squishy, pastel meat into your mouth, your mind floods with every imaginable color: magenta, indigo, seafoam, chartreuse! With each juicy gnash of your teeth, a different flavor overwhelms your palate: cotton candy, chokecherry, salted sea bass, toasted coconut! You swallow the tender morsel and your throat tickles as it slides down your gullet. You get the feeling like you have to sneeze, but can’t. As you pinch another bite from the plate, eager in anticipation of all the colors and flavors it will unlock, you feel a tiny itch ripple in your stomach. You can’t help but cough—a little at first, then A LOT. Sprays of fluff and fur erupt from your mouth like confetti. The itch in your stomach grows into a sharp, stabbing pain, like something tiny is trying to beat down the door of your innards with fists made of knives. Your guts swell and stretch as you cry out to your gods for mercy, for death, for anything that could bring an end to the blinding pain. Through your tears, you watch as two pointed horns rip through your skin’s membrane, thrashing and mighty like a bull through a matador’s cape. A basketball-shaped creature struts from your gaping stomach, slick and sticky with your blood, then plumes its fur in one swift PUFF. Blood splatters across your face. Your shaking eyes finally behold the creature in all its splendor—standing soft and sweet as a sunlit dandelion atop your retching, soon-to-be corpse. It unfurls its big pink tongue and licks your pallid cheek. That’s the last thing you see. Or so the story goes. So yeah, not a lot of people try it anymore. We are listening, though, so keep asking. We’ll make sure your questions are heard by the Rioters working on the stuff you’re curious about.